We have recently launched the all new App for Instarmac. 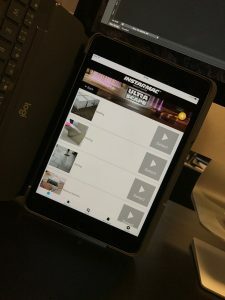 Instarmac is the UK’s largest tarmac and adhesive manufacturer, we have stepped him to help them produce a product app which not only showcases all products but also allows users to calculate how much they will need from the area they are working on. From the first instance we sat down to help plan out the mobile app. This involved going through client needs, ensuring for a intuitive user experience and suggesting elements that would ensure the user is not inclined to delete the app after use. From the planning stage we moved onto wire framing and through to page design. 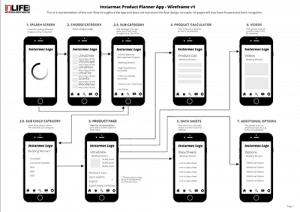 Once approved the app then went into development, this is always the most lengthy part however once ready the app was available for soft launch and testing. We carried out rigorous in-house testing along with on-site testing by a number of Instarmac employees and sales representatives. 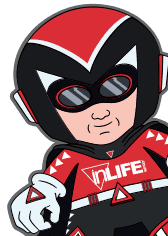 Following tests we then set the app ready to launch on both iPhone and Android App Stores. 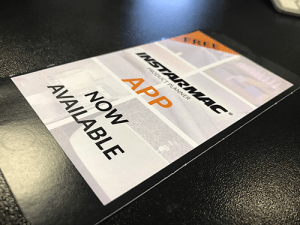 Instarmac arranged a special launch for app with communications going out across all marketing platforms, including printed material available at stockists and inside all product boxes. But we didn’t leave it there, we set up tracking Analytics throughout the app and arranged a post-launch meeting to cover these. The analytics showed a large number of installs on both Apple and Android devices, most of which kept the app installed as planned. 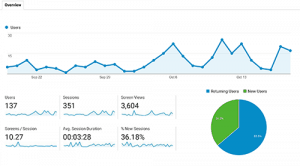 This also shows important marketing information such as the most viewed products within the app and most clicked links. Finally we are now working closely to help with all future development and any required changes when Android or iPhone may adjust their operating systems.